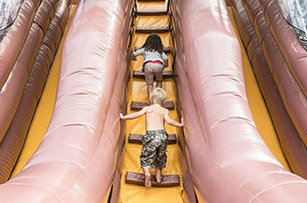 We are open every weekend and holidays! What is Voiles en Voiles? 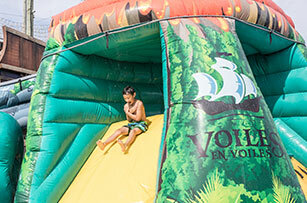 Discover the ships and the concept behind the family theme park Voiles en Voiles. 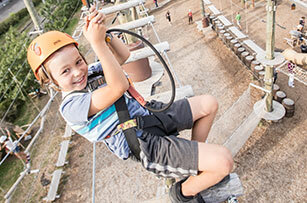 Aerial adventure courses, all aboard courses, climbing, inflatable games, slides and more. Voiles en Voiles offers several packages. Discover our gold coins and unlimited access packages. 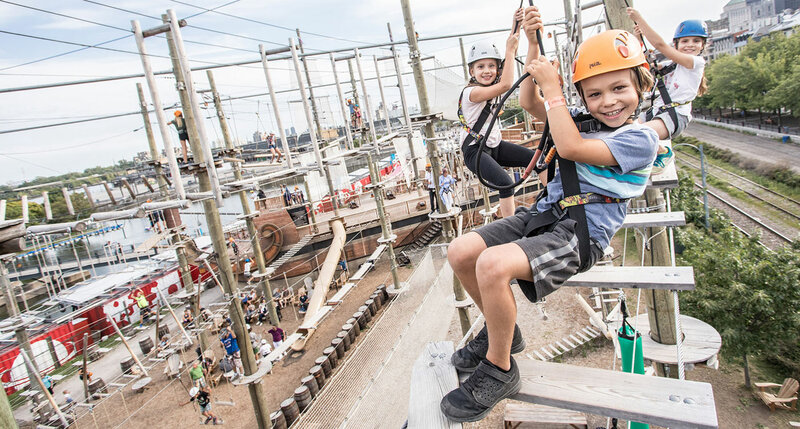 Voiles en Voiles is a family theme park with aerial adventure course, climbing and inflatable games in the World of royal and pirate ships located in the Old Port of Montreal. 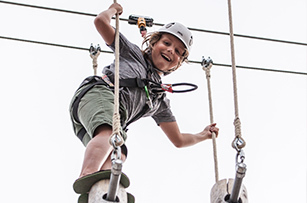 10 aerial courses of various heights and difficulties for all ages. 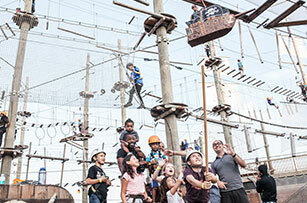 There are over 100 games spread over the various obstacle courses. 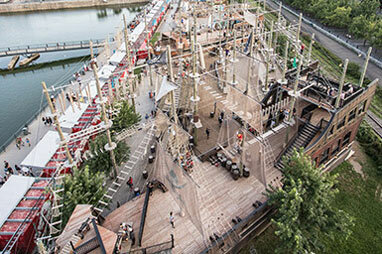 It took 3 months to 200 workers to build the Voiles en Voiles amusement park. More than 220,000 visitors participated in Voiles en Voiles since its opening. 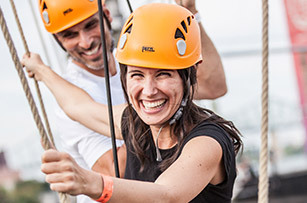 Board a rival’s ship at the Old Port of Montreal! 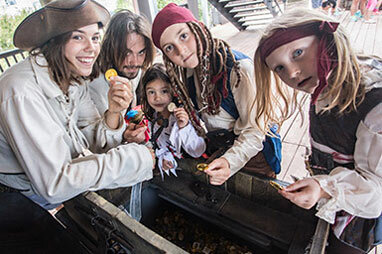 A world premiere, the amusement park Voiles En Voiles offers outdoor activities immersing children and adults into the 18th century world of Pirates and Royal Ships. 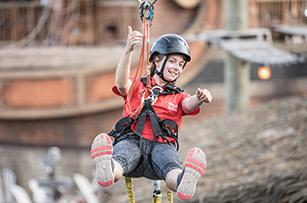 Embark on life-size replicas of these ships, hang onto one of the 10 aerial adventure courses ranging from 1 to 10 meters high, climb the wall of the Pirates’ Ship or run through the inflatable playground. 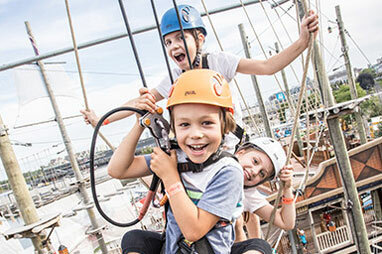 Voiles En Voiles offers hours of fun for adventurers from 3 to 333 years old with physical and educational activities suitable for all ages. Enter the world of the Royal Guard and the Pirates! 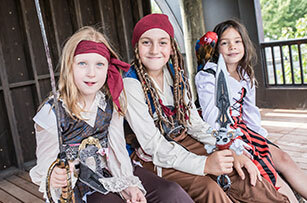 Will you be the captain of the Royal Guard or an evil pirate?